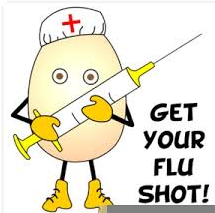 In addition, many emeriti use a local pharmacy for their flu shot. It is convenient with parking readily available and it is generally done quickly. This can be done by appointment or as a walk-in. This is generally a Medicare covered service and the pharmacy files the claim for you.